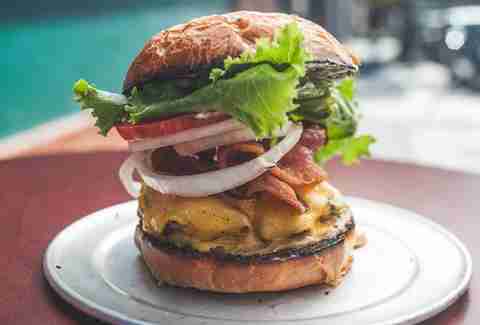 Ever notice how the same 10-ish burgers make pretty much every "Best Burgers in SF" list? 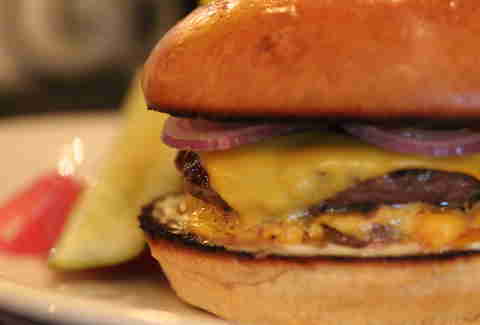 Sure, Marlowe, Super Duper, Umami, and 4505 Meats make some really awesome burgers (like, really awesome), but there are a zillion burgers in SF, and plenty of others worth celebrating. 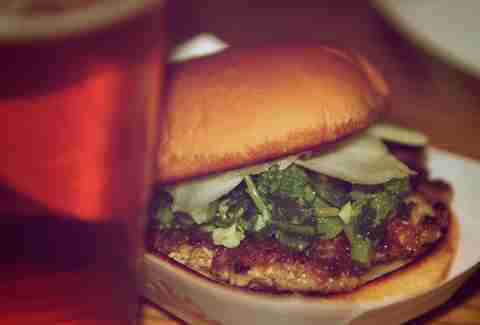 That's why we assembled this list of the 10 best under-the-radar burgs in SF, all of which don't appear on the most recent "Best Of" lists, from 1) SF Weekly, 2) 7x7, and 3) Refinery 29. Weirdly attached to a Days Inn motel, this unassuming, bi-level spot in Hayes Valley is actually only six-years-old, despite feeling like a burger joint throwback. Get their namesake burger (which comes with two Niman Ranch patties, double cheese [Swiss and cheddar], and all the classic fixin's) and eat it upstairs, where you'll have a panoramic view of Grove Street. Hello, burger shaped like A HOT DOG. 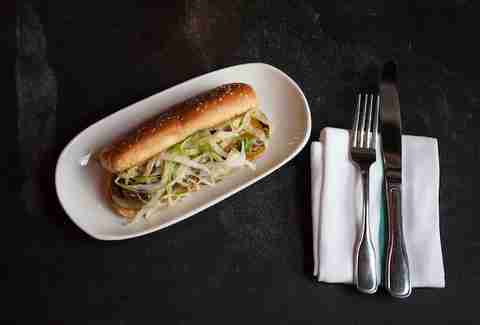 True to its name, this is, indeed, a trick dog, with a house-ground blend of chuck, brisket, and sirloin shaped like a brat, slid into a buttered-and-well-toasted bun, and piled with lettuce, onion, pickles, cheddar cheese, and house sauce. It's flavor. It's fatty. And it's delicious. We obviously can't stop talking about this burger (considering it just landed on our list of the top SF "chain" burgers, and also because it has a pastrami patty and a challah bun), and we'll keep talking about it until everyone else does. 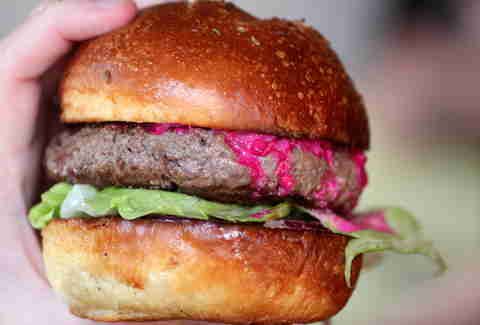 To quote... um... us, "it tastes like a traditional Jewish deli, in a burger." Sit at the bar and order the "Secret Burger"; they do a different one every week, and every time it's amazing. Especially when it's the pork belly and kimchi one. 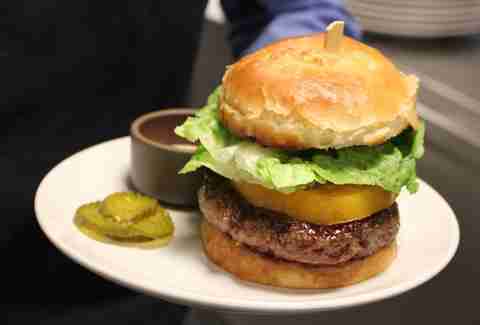 You will not find a more quintessential double cheeseburger in San Francisco. With two 1/3lb Angus patties, griddled onions, double American cheese, pickles, and hickory bacon, there's not too much or too little of any one thing, and the burger-to-bun ratio can only be described as "man, this burger-to-bun ratio is really, really on point. Like, really." 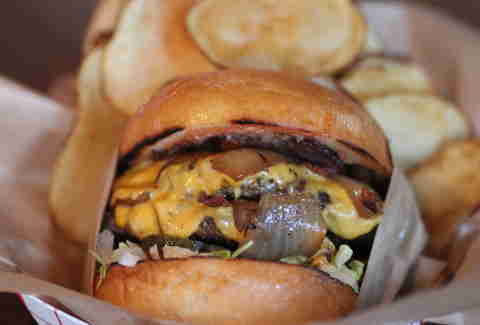 This thing should honestly be on every SF best burger list, based on name alone. 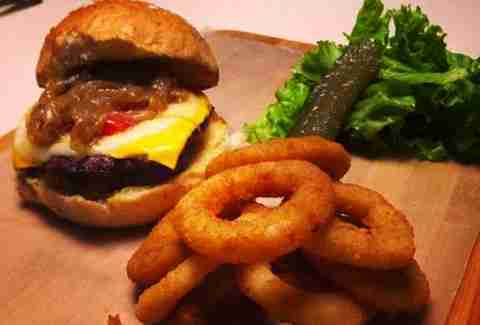 The Beef and Bacon's patty is made with (surprise!) 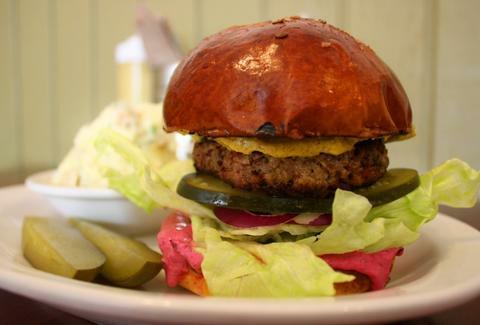 beef and bacon, presented in two beautiful patties, and accompanied by American cheese, pickled onions, and pickles (which... are also pickled). It's... just... wow. Sub in the smoked-cheddar spread, and we're not entirely sure how the Tipsy Burger doesn't show up on every best burger list in the city. 7oz of pre-ground, Kobe-style beef from Niman Ranch topped with caramelized onion, little gem lettuce, and tomato, on a Acme pain de mie bun. What sets this off, though? 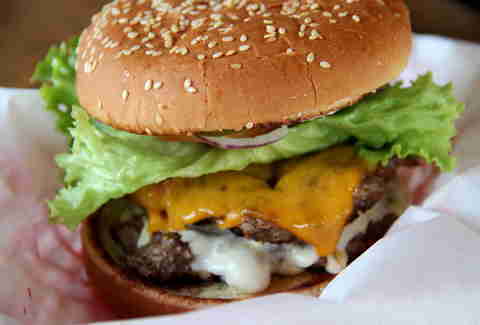 The fatty burger crust, which's achieved by buttering the patty before dropping it on the grill. 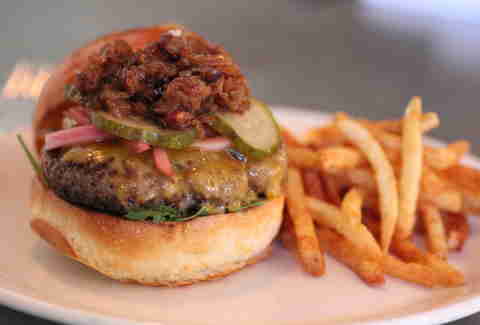 The namesake is served with bread & butter pickles, garlic aioli, pickled red onions, and bacon jam. Bacon. Jam. This roving pop-up is a Thrillist favorite. The chef does a different specialty burger every night (Texas/chili burgers, bacon/guac/Swiss burgers), and he usually... pops-up... in bars! Bonus! Under, meet radar. Manned by a former Next Food Network Star, this pop-up's now on the verge of getting its own shop, and is the first and only burger-flipper using 100% ground pork belly in every patty. The Classic is the go-to: a pork belly burg with fried pepper aioli, Cotija cheese, and tomatillo pickles, served on a buttered and toasted white bun. Joe Starkey is Thrillist's San Francisco Editor, and would survive off burgers alone if he were allowed to. Wait... he IS allowed to??? Follow him on Twitter.